Located in a peaceful part of West Hua Hin, the G House Hotel is located close to several tourist attractions and near the pristine beach. The popular night market is just a five-minute drive away, and major golf courses including the Royal Hua Hin Golf Course, Black Mountain, and the Majestic Creek. All rooms at the G House Hotel are pleasantly decorated and feature modern amenities like cable TV, high speed Wi-Fi, and a mini bar. The hotel’s on-site restaurant ensures guests can enjoy delicious local dishes, especially super fresh seafood without having to leave the comfort of the hotel. 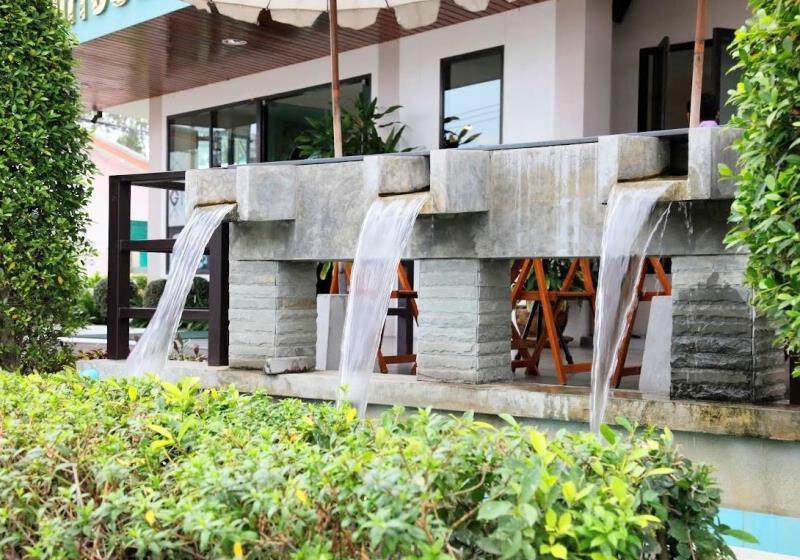 Short Description: Located in a peaceful part of West Hua Hin, the G House Hotel is located close to several tourist attractions and near the pristine beach.